The Credit Cardholder’s Bill of Rights of 2009 makes some significant changes in the way your credit card issuer treats your account. Among other things, the law puts an end to double-cycle billing, gives you more time to pay, and imposes fairer payment allocation. You may not have been aware that the double-billing cycle was costing you money each month. In most cases, it didn’t amount to a lot of dollars, but spread over millions of cardholders, it was an income-booster for credit card issuers. Under this practice, finance charges were imposed on the average balance of both the current month and the previous month. So you paid interest on dollars you no longer owed. This could be significant if you’d made a large payment the previous month. Under the new law, banks will not be allowed to charge interest on debt already paid. Another provision, which goes into effect this August, will require card issuers to mail their statements 21 days before a payment is due. The current requirement to mail 14 days before the due date has caused many consumers to incur late payment fees. Cardholders could either mail the payment and hope for the best, or pay a fee to make a payment by phone or internet. Many credit card issuers charge as much as $15 to take a payment over the phone or on line. (Some do offer free on-line payments.) Under the new law, banks will only be allowed to charge those fees if you are asking for an “expedited payment.” Also, if you make a payment at a local bank branch, they will be required to post that payment the same day it was made. Credit cardholders get a huge break due to the new payment allocation rules. Right now, when your account shows balances at different interest rates, your bank automatically applies all of your payments to the balance carrying the lowest interest rate. You may have charged a $200 purchase that gathers interest at 29.9%, but you can’t pay it off because you used a $3,000 cash advance check that was offered to you at 4.9%. Before you can “get to” the $200 purchase, you have to pay off the entire cash advance. No more – when the new laws go into effect, all amounts in excess of your minimum monthly payment will be applied to the balance with the highest rate of interest. Fees make up a large part of a credit card issuer’s revenue, but that source will be shrinking when the Credit Cardholder’s Bill of Rights laws go into effect. For instance, under the new law you can opt out of the privilege to go over your credit limit. Only if you elect to allow your creditor to approve overlimit transactions, will you be charged the overlimit fee. Another change is that your credit card issuer will be limited to charging one overlimit fee per billing cycle. So if you make several transactions before realizing you’ve over spent, you can’t be charged a separate fee for each transaction. Credit card issuers will also be prevented from charging consumers a fee to pay their credit card debt via telephone or internet. At present, some card issuers charge as much as $15 to accept a payment over the phone. You do need to watch the fine print on this one, because they will be allowed to charge a fee for expedited payments. You may still need to pay a day or two prior to your due date. Payments received on the due date, or on the next day if the card issuer doesn’t accept payments on the due date, will no longer trigger a late fee. At present, paying on the correct day isn’t always enough – you may also need to pay before a certain time of day. If the cardholder pays at a local bank branch, the payments must be credited the same day. Under the new law, consumers will also have more time to receive a bill and return the payment. Present law requires the issuer to mail a statement 14 days before payment is due – which often means it doesn’t reach the consumer in time for a payment by return mail to post on time. The new laws requires 21 days. The new law also sets limits on “fee-harvester” subprime cards. 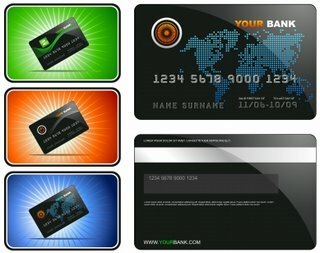 These cards typically have a credit limit of $250 to $500, and are issued to people who can’t get a standard card, but feel they must have a card in case of emergency. Unfortunately, the fees can sometimes leave cardholders with a hefty bill, and hardly any credit limit to use in an emergency. In one example, a card featured a $250 credit limit, but new cardholders were automatically hit with a $95 program fee, a $29 account set-up fee, a $48 annual fee and a $6 monthly participation fee. That’s $178 in instant debt, and only $72 in actual credit. On top of that, because Federal laws preempt state laws, the card issuer has no limit on the interest rate it can charge on this balance. Under the new law, during the first year after the card is issued, such fees may not exceed 25% of the cardholder’s initial credit limit. Your Credit Card Issuer May Consider You a "Deadbeat"
Credit card issuers don’t make it easy for us to know the right things to do to keep our good reputation with them. In fact, trying to navigate through all the advice we get can make us feel like doing a Yale Jashan Bhangra Dance! If you haven’t seen the Bhangra dance, it’s a bit on the wild side. Take, for instance, the fact that your credit card issuer may have you labeled as a “deadbeat.” Why? Because you pay your bill in full, never go over limit, and never pay late fees. In fact, because your credit rating and your FICO scores are excellent! Why do those actions turn you into a deadbeat? Because they aren’t making enough money from you, that’s why! They want you to carry a balance so they’ll earn interest each month. And they don’t mind at all if you pay a day or so late so they get to tack on a nice fee. Going over the limit is fine, too, because it also carries a fee. Because you don’t do those things, they may be lowering your credit limits, raising your interest rates, and canceling your unused cards. Those actions, of course, will lower your FICO scores. You’ve probably heard that the “Credit Cardholders Bill of Rights” is going to put a stop to many of the consumer-unfriendly practices used by credit card issuers. It is. When the new laws go into effect in February 2010, many of those practices will be forbidden. “Best customers,” by the way, are those who carry a balance. Typically, they’re consumers who charge a few thousand for a major purchase every few months, pay it down, and then start all over again. Grace periods may also be phased out, so that if you’re a “deadbeat” you’ll begin paying interest from the day of your purchase. As a result, many will abandon credit card use in spite of the convenience and bookkeeping benefits. If you’d rather keep your life in order – and make your life more akin to a Foundation Showdance than a wild and crazy Yale Jashan Bhangra – take control now. If you do carry a balance, begin paying it down. Spend your rewards credits before they fade into the sunset, and try to maintain your credit scores by keeping all credit card accounts open. You may be able to do so by charging a small amount at least once per quarter. Remember that the more available and unused credit you have, the better your credit rating, so if you can get your credit limits increased, do so. Does an Unactivated Credit Card Show on Your Credit Report? That depends upon the policies the card issuer has. American Express, for example, says they report new credit card accounts one billing cycle after the application was approved – regardless of whether the card was activated. Your application for the card will always show up – and will remain for 2 years. However, it will only be factored into your credit score for one year. Once a credit card account has been approved and reported to FICO, it will show on your credit report as an active account until it is closed. Your non-use of the card is only considered as a part of your overall debt to available credit ratio. Credit card Adviser Leslie McFadden at Bankrate.com advises that canceling a card after the issuer reports it could negatively affect your credit score. If you cancel before it is reported, it will have no affect. Thus, if you made application for one card but received another – and you don’t want the card you were issued, you should cancel immediately. This is not unusual in today’s credit climate. Credit card issuers hoping to attract card holders with high FICO scores advertise low rates and high credit lines, but often issue cards bearing high rates and low credit lines after reviewing an application. While this will upset you – it shouldn’t make you feel less worthy. Almost everyone is seeing their FICO scores decline due to the actions that card issuers are taking today. Shrinking credit lines means card holders who once had a 30% debt to available credit ratio now have an 80 or 90% ratio. Closing unused accounts has the same effect. Card issuers are doing both, and it is affecting people who once had enviable FICO scores. Should you receive a card in the mail that you know you didn’t ask for, and that isn’t merely a replacement of a card you carry that is expiring, you should contact the issuer immediately to cancel it. You probably won’t be able to get much information over the phone about who initiated the request – or when or where. So your next step should be to order a copy of your credit report. That unsolicited card could be a sign of identity theft, so look for any other suspicious activity, especially signs that you have a new address or have made application for other credit. For years, credit card issuers aggressively pursued new borrowers and urged old borrowers to charge more. Mailboxes across the country were filled with new offers, introductory rates, and rewards for getting those cards out of wallets and into use. Each issuer tried to outdo the other with promises of low rates on balance transfers and ever higher credit limits. Then, the financial crisis reared its ugly head and those card issuers began to face larger and larger losses. The past few months have seen major credit card issuers pull back on new credit cards, lower credit limits, raise interest rates, and close accounts – even for their most creditworthy borrowers. Now a new breed of lender is offering to step in where credit card companies fear to tread. This new breed is called the Social Lender. This is peer-to-peer lending, where the lender often has a choice over who will use his or her money. Lenders working through Kiva.org, for instance, might choose to lend $500 to a start up entrepreneur for the purchase of equipment. Since 2005, Kiva members have lent more than $58 million to more than 83,000 entrepreneurs. In years past, most were in developing countries, but now Kiva also lends in the U.S.
Pertuity Direct is the newest entrant in social lending. Investors place their funds in a mutual fund operated by National Retail bank. Borrowers seeking to use those funds apply through the website for a fixed-rate, fixed-payment loan – generally payable within 1 to 3 years. The minimum credit score required is 660 and interest rates are as low as 9.6%. Approval is almost instant, and money can be in the borrowers’ hands within 1 or 2 days. Some social lending sites will accept lenders who wish to invest a mere $20 – giving almost anyone the opportunity to invest. Some social lending is directly modeled after sites such as Facebook and eBay. Prosper, for example, lists loan requests ranging from debt consolidation to moving expenses. Lenders can then choose which loans they’d like to fund, and bid on those loans at interest rates and terms they’re willing to accept. Lending Club gets even closer to the social networking model – allowing its borrowers to find potential lenders based on their location, their “network” or their “friend” status. Social lending now also extends to student loans, which were at first excluded because of the short pay-back term. 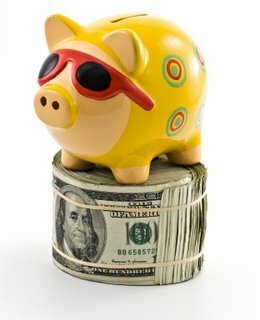 Lenders do recommend that students first apply for federal loans, and use private lenders as a fall-back option. Several companies are participating, but the main contenders in the student loan arena are GreenNote, Zopa, and Fynanz. Zopa follows a CD model and relies heavily on partnerships with credit unions. While Fynaz does set a bare minimum FICO score for borrowers, it relies more heavily on the “Fynanz Academic Credit Score,” which rates a student’s GPA, his or her course of study and the educational institution’s profile. Online Banking Report has predicted that social lending will reach approximately $130 million this year. Revolving credit – which is almost entirely credit card debt – dropped 7.8% during the month of December after already dropping 8.5% in November. According to reports from the Fed, this was the steepest percentage drop since January 1978. Many experts are citing the drop in consumer spending as a sign of belt-tightening and a desire to pay off debt and begin saving in the face of employment worries and/or outright job loss. Wise consumers are protecting their credit scores and their futures by cutting out unnecessary spending. And worries over future job loss are not unfounded. The nation’s unemployment rate climbed to 7.6% in January when the U.S. lost almost 600,000 jobs. Total job losses since December 2007 are more than 3 million. This has to play a role, but two other factors naturally led to a decrease in credit card debt. First, gasoline prices dropped. Consumers who were charging $800 per month for fuel were able to cut those charges to only $400-$500 by December. The other reason should surprise credit card issuers the least of all. When these companies slashed credit limits and raised interest rates for millions of card holders, they could not spend more, even as they wanted to. 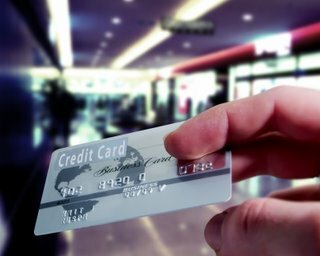 During the Christmas shopping season, retailers reported shoppers dividing their purchases between 2 and 3 different credit cards in order to avoid going over limit on any one card. That clearly indicates a desire to spend rather than a desire to save. Some, of course, became angry and refused to create more debt when faced with interest rates approaching 30%. Non-revolving debt also declined in December. That includes auto loans and student loans, along with loans for mobile homes, boats and trailers. Auto loans seemed to lead the decline as auto lenders followed credit card issuers in a move to pull back on making loans. Average car loan interest rates were 6.4% in October and had risen to 8.4% by December. At the same time, the average length of loans fell below 60 months for the first time in years. Some experts are predicting a spike in credit card use by March or April, due to the most recent job losses. Consumers may use savings for the first few months and then will turn to credit cards for basic living expenses such as food, utilities, and rent. However, since credit card issuers have cut spending limits, this prediction may not come true. What began as a housing crisis has morphed into a full-scale credit crisis – affecting every segment of society. And with about 3 million people losing their jobs over the past 13 months or so, credit card companies are realizing that they need to add “flexibility” to their list of services. Thus, many credit card companies are offering some type of “forbearance” to cash-strapped card holders. It isn’t forgiveness – it is a temporary reprieve from your obligations, and it comes in different shapes. One is a postponement of six months, a year, or even longer. During this time your interest will continue to acrue, but perhaps not at the steep rate that you might be looking at when you open your credit card statement today. Another form of forbearance offers a lower minimum payment, a reduced interest rate, and/or elimination of late fees. What the credit card companies will offer depends upon your individual situation. While card issuers such as Chase, Bank of America, Citi, and Discover are proactively reaching out to consumers when they first begin to fall behind, credit counselors advise consumers to contact their card issuers before the problem becomes that advanced. Many are willing to work with card holders to arrange solutions that will allow card holders to maintain their good credit standing while assuring the card issuer of eventual repayment. During the last quarter of 2008, Citi reports accepting about 350,000 accounts into its forbearance plan, while Bank of America modified nearly 850,000 credit card loans in 2008. While these programs are socially responsible behavior on the part of card issuers, they are done in self-interest. Credit card loans are unsecured, so if aggressive collection action on the part of card issuers forces a consumer into bankruptcy, the card issuer is the ultimate loser. They won’t get paid at all. The debt will become a chargeoff. According to reports, credit card chargeoffs, which stood at 5.5% during the final quarter of 2007, reached 8% during the 4th quarter of 2009 and are expected to rise to almost 9% by late 2009. 9% doesn’t sound like a lot until you consider that right now, about $4.8 trillion in credit lines are open in the U.S.
No wonder credit card issuers are reaching out to card holders – trying to keep them on track with payments, even if those payments are strung out over a longer period of time.